If you’re planning a visit to the U.K. then it is wise to make sure you’re ready to deal with the travel demands that you might encounter. 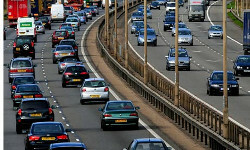 Many people who are uncomfortable driving in the U.K. opt for public transportation. That said, many other visitors, whether they are tourists or conducting business, must drive themselves to and from important destinations. This can seem like a daunting task to the uninitiated driver. Truthfully, a lot of problems do not arise from poor driving conditions, but rather poor parking choices. Let’s take a look at some tips that you can follow to help you find better parking when visiting the U.K. The first step to ensuring you have a good place to park is to plan ahead of time. Go online and take a look at where your travel destinations are located. Take note of the availability of parking around your intended destination. You can use mapquest to gauge distances of other public parking areas if your destination provides inadequate parking. Some of these other parking areas are with walking distance to where you need to go. This can help you to save both time and money. Another good online method to use to scout parking spots is to take a look at google earth to determine which areas are the most congested ones to avoid. Do not forget that public transportation should be utilized as well. If you can’t find an immediate parking spot at your destination, then you can find another spot which might be just out of walking range. You should not let this deter you, however. Public transportation is a great option when it comes to getting somewhere on time. If you time it right, you can catch a bus or taxi after parking in a public spot. Just make sure that you find out ahead of time if there is a taxi area near the parking lot. There are many bus stops you can choose from as well, so this eliminates some of the competition you could encounter when trying to park your car. One of the last things you should check on is payment for parking. Paid parking can become expensive if your destination is especially crowded. Event centers often charge more for you to park your car. You should be prepared to pay a fee for the right to park your car. Make sure that you record how long you are allowed to be parked in that particular area. In the United States, some parking is free after a certain time of day. For example, you can park for free in many areas of downtown Greensboro, North Carolina after 6:00 pm. The same can be said of places in the U.K. if you just know where to look for them. Parking your car should not be one of your main worries when visiting the U.K. A little preparation and location scouting goes a long way in eliminating some of the headaches associated with finding good parking spots.